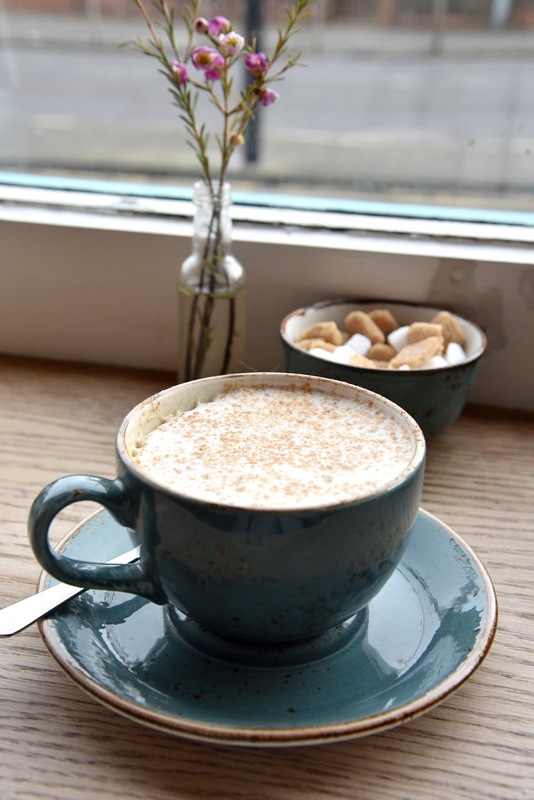 Omni Cafe in Whitley Bay is somewhere I've been meaning to visit for ages! I saw some lovely photos of the food a while back and made sure it was on my "to visit" list. 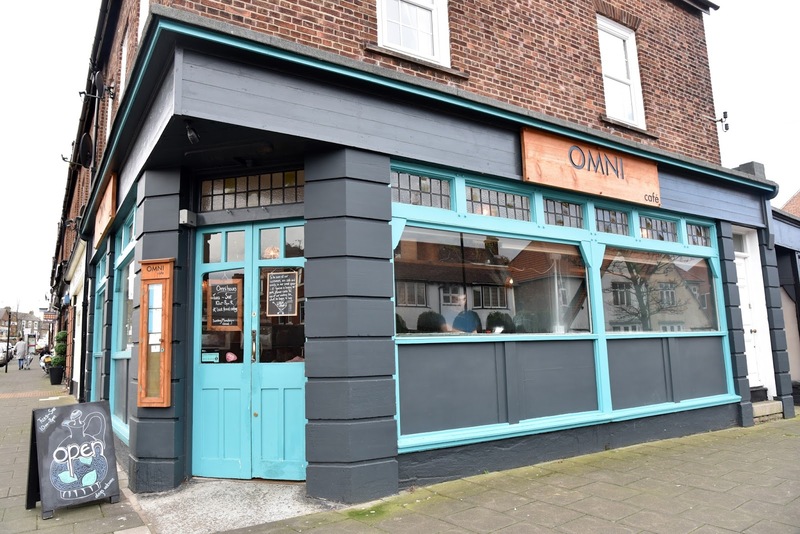 Just a stones throw from Monkseaton Metro station, Omni has a lovely laid back casual vibe. The cuisine is Asian tapas and street food, my absolute favourite! There were plenty of veggie/vegan/gf options on the menu, so I had lots to choose from! 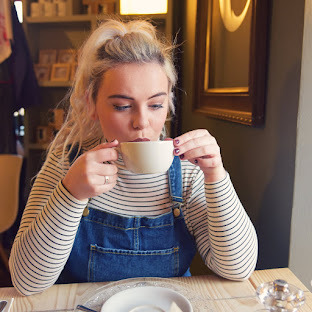 This place is so instagrammable, it has the most beautiful china! Me and Steven popped in on a Saturday lunchtime, hoping to get a table, we did thankfully! They have menu's dotted around and you just order at the bar, I LOVE not having to wait around to get the bill! 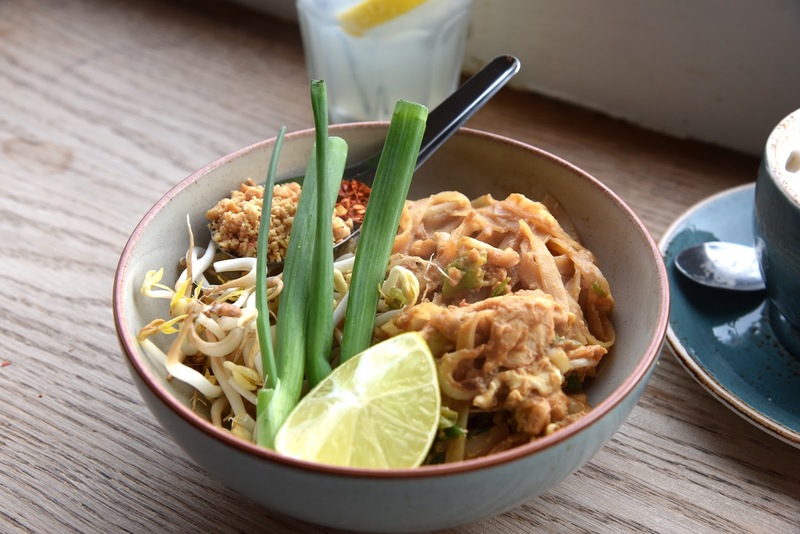 After perusing the menu Steven decided on the Pad Thai with chicken (you can also get prawn or tofu), we both love a Pad Thai and this one was no different, it was beautifully presented and felt really authentic. The Pad Thai was made with flat rice noodles stir fried with egg, spring onions, crushed peanuts, bean sprouts and chilli flakes. Steven really enjoyed this, he thought it was full of flavour, one of the best he's had. 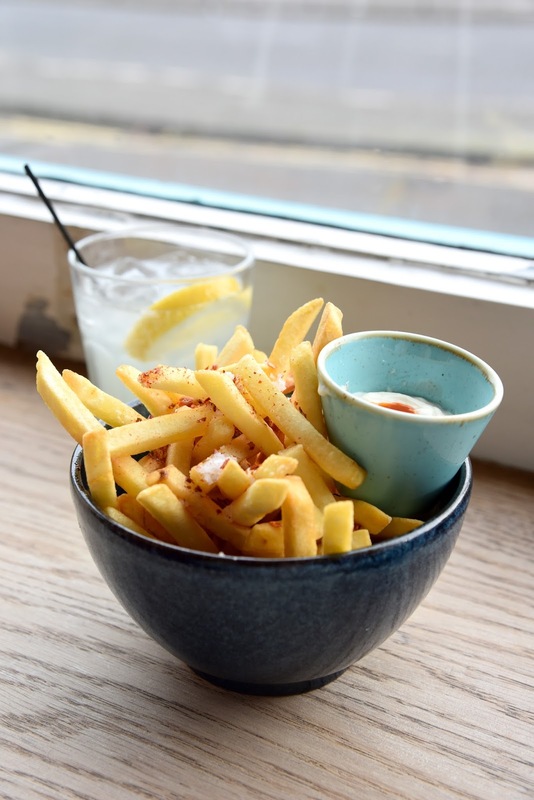 We also ordered a side of Salt and Chilli Fries to share which were super tasty. As you can see, my offering was pretty special! I went for the Vietnamese Bahn Mi, I've only ever had these at Time Bahnmi in town and I've always been super impressed, this one was different but equally delicious! 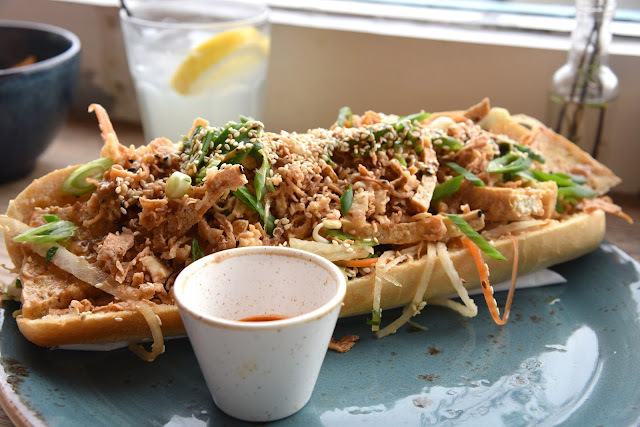 The baguette was stuffed with pickled Asian slaw, fresh herbs, crispy onions and I went for the crispy sesame and satay tofu (you can also get slow roasted pork shoulder or a herby egg pancake). It was a huge portion and really yummy, loads of lovely flavour and textures. Omni are open for lunch and dinner, with such a great menu I'll definitely be back! We love Omni - we totally over-ordered last time though! How I love Omni... SUCH lush food and gorgeous atmosphere. It's my favourite place for date night or a cosy dinner with my friends. That Bahn Mi looks amazing... going to try that next time I'm in! This looks great, I'll have to check it out. 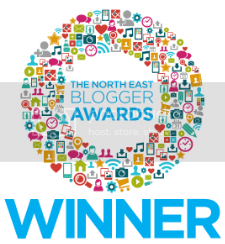 Expect all things lifestyle, plenty of delicious recipes, trips around the world and the best of what the North East has to offer!